Welcome to Kemptown and Peacehaven Labour Party. As you will know as of the 4th February the District Labour Party has returned to its historic constituencies and you are in Kemptown Constituency. On Saturday we had the election of the new executive committee and we are writing you to welcome you and also tell you about all the exciting things that are coming up. This will be a monthly email sent out in the first full week of each month. Your branches will also send out newsletters to each branch monthly and the councillors will also keep you up to date. On the 4th February your delegates elected a new Executive team for Kemptown and Peacehaven Labour Party. You can read more about each of the officers that stood at www.kemptownlabour.org.uk/ec and you can contact any of they at any time. 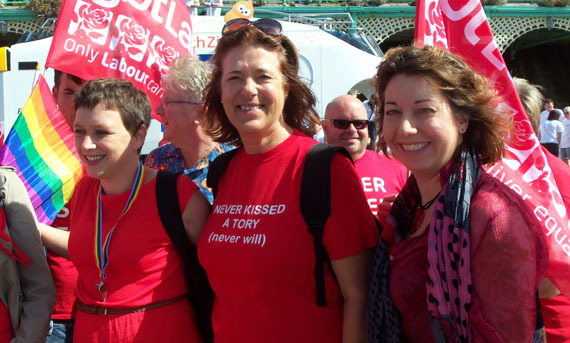 The team will meet in the next few weeks to start planning activities across the constituency to ensure that no one would think of anything but voting Labour in Kemptown and Peacehaven. “There seems to be evidence that some kind of arrangement has been made between Surrey County Council and the Government to help them meet their social care costs. P.S. This event is hosted by East Brighton Branch for all Labour Members, if your branch would like to put on an event and invite members from across the constituency please email Lloyd Russell-Moyle (secretary@kemptownlabour.org.uk) to include in next months newsletter. As we get things going we want to engage you in everything from branch activity to online activism. We have a couple of ways that you can keep in the loop and recommend that you check regally. Join our members only Facebook page to discuss and plan events with your fellow CLP members ensuring that we are getting active and reflecting the concerns and needs of local residents. Follow us on twitter and ensure that you are up to date with the latest happenings in the world of Labour in Kemptown. Check out our new website, where in time we will put all the meeting times, venues, the contacts for each of your branches and also news stories of what we are doing in Kemptown and Peacehaven to supper the Labour Party and to support our area.